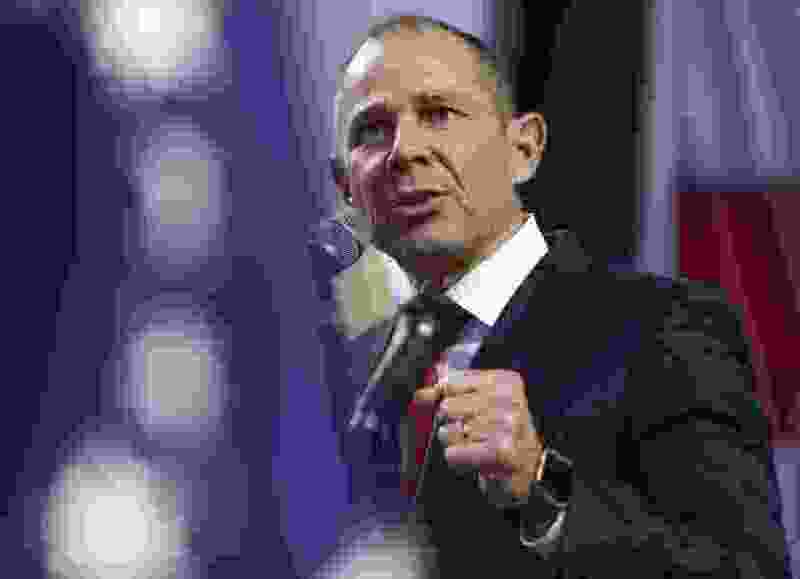 (Leah Hogsten | The Salt Lake Tribune) Incumbent John Curtis, of Utah's 3rd Congressional District, delivers his speech at the Utah Republican Nominating Convention Saturday, April 21, 2018. Curtis and candidate Chris Herrod will face off in the primary. The work of Rep. John Curtis to develop and move forward the Emery County Public Lands Management Act of 2018 (H.R. 5727) is a testament to his consensus-building ability and solutions-oriented approach I observed in his years as mayor of Provo. As mayor, Curtis was known for working to build consensus on the issues facing his city and fostering a business-friendly environment that would attract and keep jobs in his community. The former kept his approval ratings high. The latter accounts for Utah County’s flourishing tech industry. From what I’ve seen, John’s approach to public service hasn’t changed since he was elected to Congress last year. There’s no better example of his skilled public service than the bill he’s drafted to help Emery County make a new investment in its future by protecting its spectacular landscapes. As the former mayor of Salt Lake City, and now the director of the Central Wasatch Commission, I understand how difficult it is to drive consensus. Currently, I am working hard on legislation to resolve longstanding issues affecting the Central Wasatch Mountains. I think we need to applaud similar efforts, like Emery County, that allow us to move past the partisan rhetoric that plagues the political landscape, and advance real solutions that help Utahns. His bill picks up where two decades of county-level negotiations left off, with a proposal to permanently protect some of Emery County’s world-class landscapes and outdoor recreation opportunities while ensuring that locals have the physical space to meet the needs of their community. Curtis rolled up his sleeves and got to work, engaging conservation groups, recreation organizations, Native American tribes, county officials, community residents and businesses and other federal lawmakers to craft legislation he believed could survive the crucible of the legislative process and be signed into law. Curtis has worked hard to accommodate concerns and expand support for the bill from all corners. The end result has something for everyone. Building on other successful efforts, the bill would permanently conserve more Utah lands than any legislation since Congress passed laws expanding Canyonlands National Park in 1971 and Zion National Park in 2009. It protects 63 miles of the Green River in Desolation and Labyrinth canyons and creates a new recreation area in the center of the San Rafael Swell. It creates a new Jurassic National Monument, putting a star on the map for one of the world’s greatest concentrations of Jurassic-era dinosaur fossils. It expands the amount of land currently protected as wilderness in the county by 124 percent, offering permanent protection for more than half a million acres of public land. These designations will draw hikers, climbers, mountain bikers, river runners and others from Utah and elsewhere, and the protections they provide are a long-term investment for the county that will allow future generations to benefit from these amazing outdoor resources. They are supported by the county, conservation groups and outdoor recreation and industry groups. The latter’s involvement is particularly heartening to see, and a hopeful sign that Utah’s recently stormy relationship with that industry can be rehabilitated. In addition, the bill allows for a long-term lease of land to the Utah Division of Parks and Recreation to facilitate the expansion of Goblin Valley State Park. Despite all of this, there are those that will say it doesn’t go far enough. While good folks can disagree about how much wilderness in a single county is politically feasible in 2018, I don’t think anyone can deny that the current bill is a historic achievement. And more importantly, this bill has created a positive dialogue among a diverse group of stakeholders that doesn’t happen often in the current political climate. Curtis – along with Sen. Orrin Hatch, the bill’s sponsor in the Senate – have written an admirable bill, one that honors all public land users while championing Emery County’s desire to achieve a sustainable economy built around outdoor recreation. Getting legislation passed in Congress is an especially difficult challenge today. There are refinements that are important to particular interests that need to be considered and addressed. Hopefully, at the end of the day, the Emery County bill can pass on its merits reflecting the public good. I look forward to watching Rep. Curtis continue work with stakeholders, and I am confident that he will keep working through the difficult issues to advance this bill into law. Leah Hogsten | The Salt Lake Tribune Ralph Becker, Nov. 3, 2015. 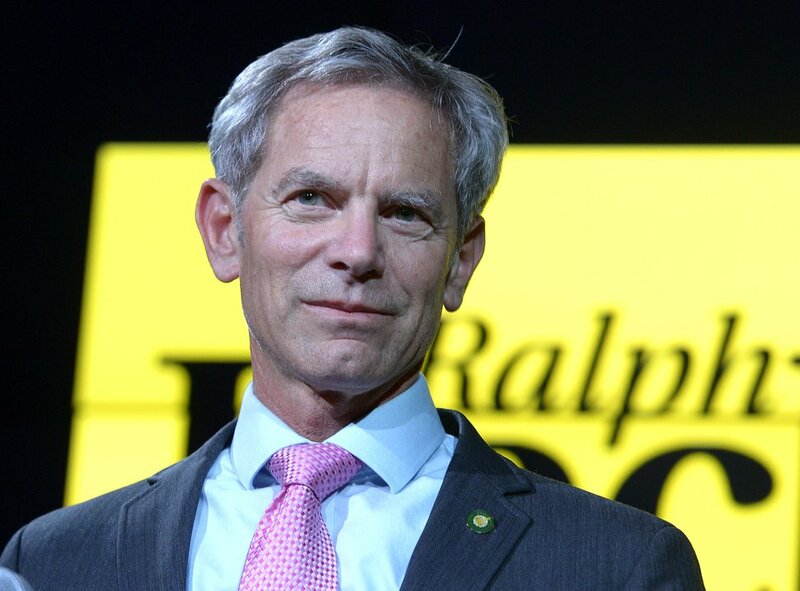 Ralph Becker, former mayor of Salt Lake City, is executive director of the Central Wasatch Commission.